I know what you’re trying to do here. 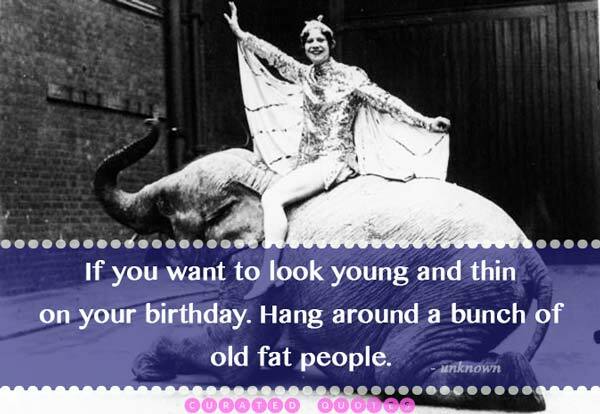 You’re looking for a funny birthday quote so that you can zing your old man. I think that’s a great idea. That’s why we put together this list of the funniest quotes about growing older, getting fatter, and closing in on death. This is a curated sub-category. Check out our full collection of birthday quotes. The event happened on my birthday. I don’t remember the date, I only know it was my birthday because there was no cake or presents.